I read some articles regarding the Lerderderg East Walk. This looked like an interesting hike near Blackwood. The hike is close to 14KM in total and can be easily walked as a day hike. I recently purchased some new hiking gear and this was the perfect place to test some of the overnight gear. Started the hike from O’Briens Crossing on O’briens Road. Plenty of campers, visitors and tourist at this location. Parked the car and started the The East Walk Track with a friend. The river was running fast with recent rain and cold weather it was wet on the foot. 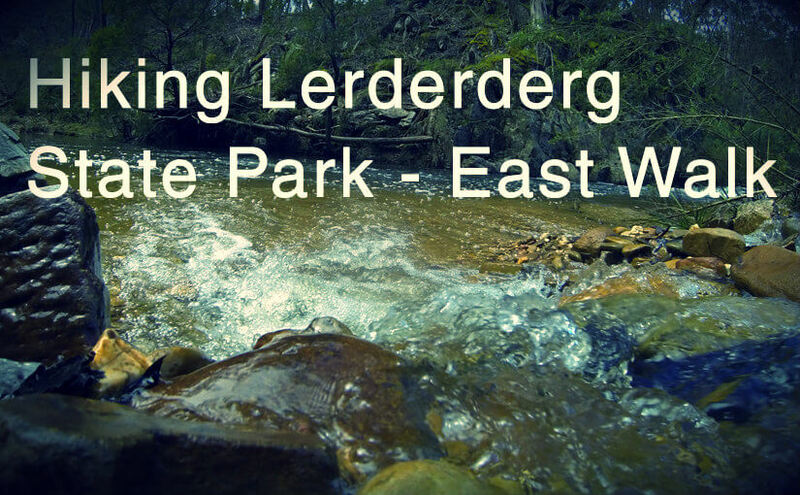 Download and View GPS Track Information of Lerderderg East Walk. The track is in average condition. Lots of overgrown sections, fallen trees and obstacles. In the wet can be dangerous with slippery rocks, steep embankments and rotting trees. The weather forecast at Lerderderg was for a couple of light showers. It hailed, and poured down rain. Around 60MM in total. This was the perfect time to test the waterproof qualities of the Osprey pack and my rain gear. Just goes to show how quickly the weather can change. The Lerderderg River was flowing fast. The river was also up from recent rains. In some sections we had to remove shoes and jump into waist high water to follow the track. We found a great camping spot near the river. Camping Coordinates: -37.520952, 144.367769. This was around 6.65KM on the GPS from O’Briens Crossing. Since we had already seen two trees fall and there was already a fallen tree at the campsite we spent some time looking for a safe spot to camp at this location. We set up camp, cooked some food and had a quick explore of the area. Lots of mineshafts, deep holes, tunnels and old ruins. Not advised to go into these areas, so we hung around the campsite close by. Watch short hike video taken with the GoPro on Youtube. Overnight it hailed and poured down rain and the minimum temperature dropped to 0 degrees. We woke up early, breakfast, pack up and set off towards Cowan Track. This section is around 7KM back to the car. 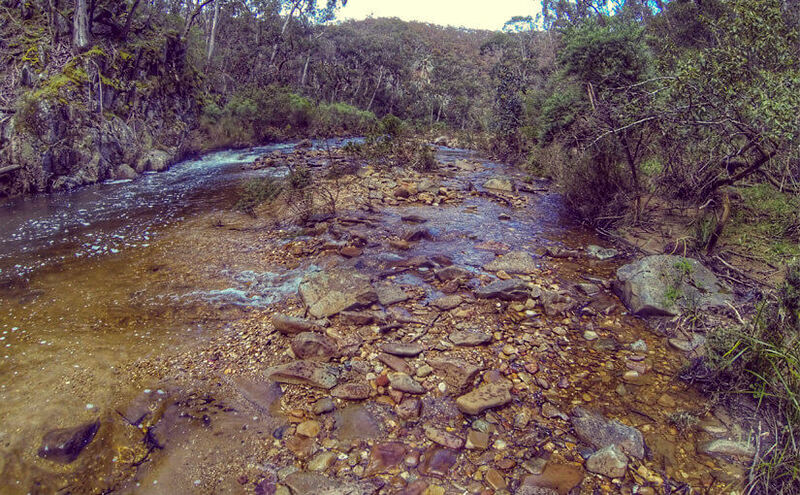 We followed Cowan track over undulating terrain and climbing to around 620 meters. The initial climb is steep and slow going with packs. Some great views of Lerderderg Gorge on the way. The Short Cut Track cuts away from O’Briens Road and heads downhill to the car park. The last 400 meters is knee jarring downhill section. Wet conditions made this section slow to get down. Overall this was an adventure. 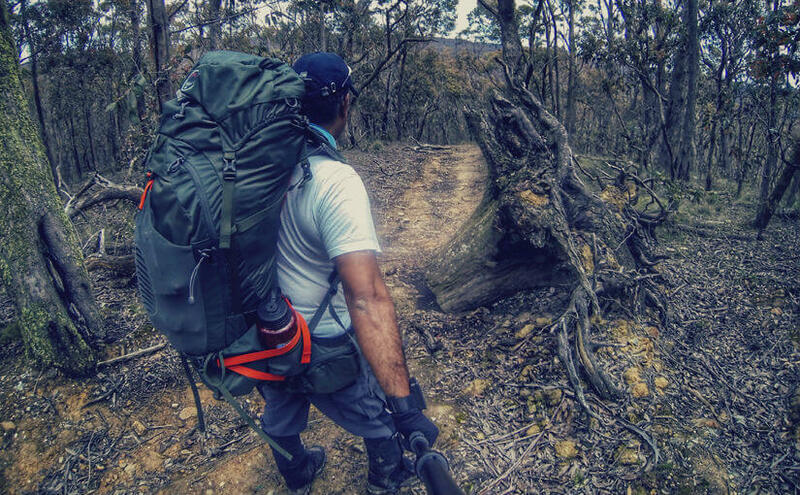 A great overnight hike close to Melbourne. In drier conditions this hike would be easier. Although this was perfect conditions to test the hiking gear and put all the equipment through its paces.